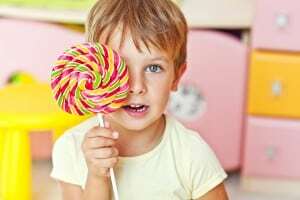 Sugar intake is a big problem today and is linked to children’s dental problems. A sugar tax would help control the problem and protect children’s teeth. The introduction of a sugar tax on soft drinks would have clear benefits to the oral health of children between 11 and 18 years old. Tighter regulation around price, availability and marketing of sports drinks to children will safeguard their general and dental health. Oral health should be tackled in the same breath as overall health since it affects children’s overall well-being, confidence, mental health and life chances. The most important message dentists can give parents is to remember that it is not just the amount of sugar children eat or drink that causes tooth decay, but how often they have sugary foods and drinks. It is one of the first things we notice when we meet someone for the first time, so it’s worth paying as much attention to your smile as you do to other aspects of your appearance. We are an experienced dental team and are proud to deliver excellence, innovation and results that are second to none, using state of the art techniques in a practice dedicated to your comfort, wellbeing and most importantly, your smile. Ask about our range of attractive, comfortable and affordable treatments. We offer high quality dental care to help restore, protect and maintain your smile. For your convenience, appointments can now be booked online. Protect the health of your mouth with a regular manageable monthly payment. Have a look and see what offers we currently have within the practice.